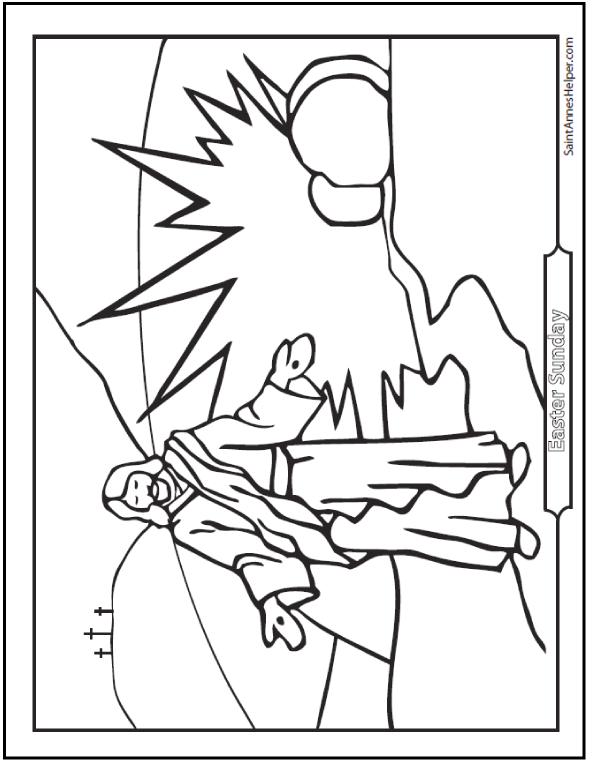 This Resurrection coloring page shows Jesus on Easter Sunday morning. There is a radiance from the tomb over the hillside in this picture. Jesus rose from the dead on Easter morning "as He said". Rejoice! This PDF prints 8.5x11" single sided. Easter is the feast of the Resurrection of Jesus. 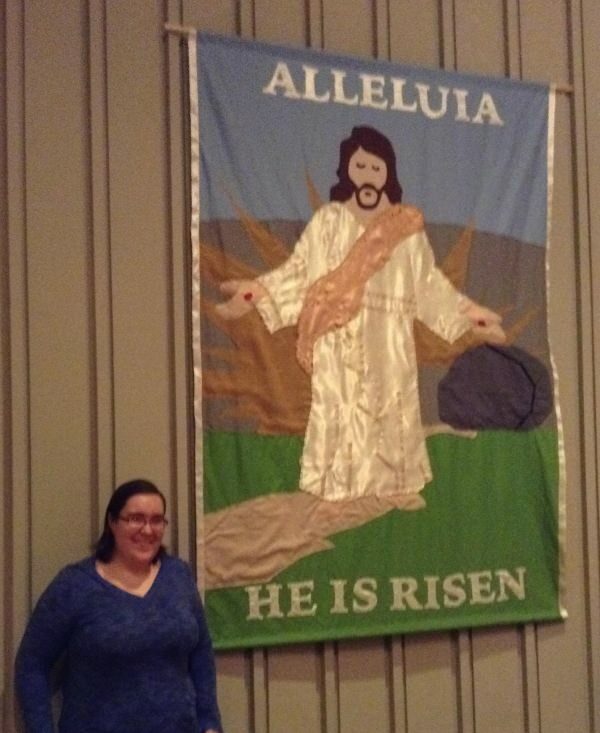 "I used one of your images - the Resurrection Coloring Page - to make a tapestry to display at my church, the Catholic Newman Center in Chico, California. I was hoping to be able to share an image as well as thank both this website for making the image available. I would be honored if you posted my picture, thank you. This was my first time making a project like this, and it is amazing to see it hanging during mass. This is astonishingly beautiful! Jamaie, you did an excellent job and your work glorifies Our Lord and I love the details that you have so beautifully included - even to the satin trim on the sides. Thank you very much for sharing this with Saint Anne's Helper.